Today we’re starting out with some very special student news: Congratulations to current M.A.W.P. student Stephanie Gladney Queen, who had her first baby only weeks before the start of the quarter. Anthony Gabriel Queen was born on November 23rd, 2011. Our best wishes go out to Stephanie and baby Anthony! The Mitchelstown Literary Society is pleased to announce the launch of the second William Trevor / Elizabeth Bowen International Short Story Competition. The Society was founded to celebrate the lives and works of two of Ireland’s literary greats with Mitchelstown connections. The short story competition evolved as a natural adjunct to Mitchelstown’s annual literary festival and aims to provide a competitive outlet for new and emerging writers in the short story genre. The continued support of William Trevor includes sponsoring the very generous First Prize of 3,000 Euro. Second prize is 500 Euro, and there will be an additional five runners-up winning 200 Euro each. Ita Daly, two times winner of the Hennessy Literary Awards, Irish Times Short Story Award winner, and author of five novels including the recent Unholy Ghosts, will be the contest’s final judge. Details of rules, official entry form(s), payment methods etc. can be found on the official website: www.mitchelstownlit.com. There is entry fee of 20.00 Euro per entry and the deadline for receipt of entries is Friday, 30th March 2012. The winner and runners up will be notified personally as well as results being posted to the competition website as they become available. Back at the beginning of the quarter, Ex Libris posted an announcement about the Institute for Reading Development summer teaching positions. If you were interested but didn’t get the chance to apply, or just missed the announcement, you’re in luck: The Institute for Reading Development has just announced that they continue to have positions available and are still accepting applications. All grad students and graduating seniors with an interest in teaching and strong reading skills are encouraged to apply. See the original announcement on Ex Libris and visit instituteofreadingdevelopmentteachingjobs.com for more details, including how to apply. 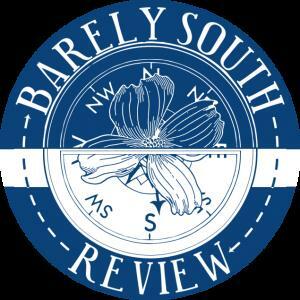 Old Dominion University’s Barely South Review is now accepting submissions for their September 2012 issue. They are looking for unpublished poetry, fiction, creative nonfiction and art. You can read the January 2012 issue featuring interviews with the likes of Joy Williams and Naomi Shihab Nye at barelysouthreview.digitalodu.com, and you’ll find the submission guidelines at barelysouthreview.digitalodu.com/submission-guidelines. This is also a great reminder that Old Dominion University is accepting entries to the inaugural Norton Girault Literary prize! One fiction story will win $1,000 and publication in Barely South Review. The guest judge this year is Cristina Garcia. Complete guidelines and entry form can be found at: barelysouthreview.digitalodu.com/the-norton-girault-literary-prize. Deadline for September 2012 issue submissions is March 31st. Deadline for entries to the Norton Girault Literary Prize is February 29th, 2012. Believe it or not, tomorrow is the last day of January. Literary-event-wise, it’s going out with a bang with what is sure to be a fascinating reading and reception with author Mahmoud Saeed at the Lincoln Park campus. Luckily, February will be packed with even more great literary events in and around DePaul. Grab your calendars and get ready for these upcoming literary events from the DePaul Visiting Writers Program, the DePaul Humanities Center, the Guild Literary Complex, and more! February 2nd – DEPAUL POETS DePaul’s own Mark Turcotte, Chris Green, David Welch and Kathleen Rooney will give a joint reading, which promises to be the epitome of awesome. This event takes place at 6 p.m. at the new DePaul Art Museum, 935 W. Fullerton. Bonus for current students in the MAWP program: After the reading, all MAWP students are invited to head to Kelly’s Pub, 949 W. Webster (just east of Sheffield) for an informal social gathering. People leaving from the reading will get there around 7:30-8pm, but if you have class that evening, you can still stop by afterwards. This is not a university-sponsored event, but rather a fun, informal meet and greet for students and professors to get together and socialize. February 14th – HAKI MADHUBUTI and AMINA GAUTIER In an event co-sponsored by African & Black Diaspora Studies and the English Department, the renowned poet Madhubuti, author of more than 20 books, reads with our esteemed colleague, Amina Gautier. The fun takes place in room 300 of the Richardson Library, with a reading from 6-7:30 and a reception from 7:30-8. February 15th – The Guild Literary Complex presents: Palabra Pura featuring Rey Andújar, Jorge Frisancho, & Juan Dicent. Under the theme Mutant Body/Cuerpo Migrante, the evening will present the body as a space for multiple questions related to the state of transition. What does the body leave behind in its translation/transfer? What does it acquire or adapt? In this sense language is an element that determines more than its sensory definition. It will take place at La Bruquena, 2726 W Division Street, at 7:30 pm. Free and open to the public. February 17th – The DePaul Humanities Center’s Literature and Music Series and the New Music DePaul Series composer and 2011-2012 faculty fellow Kurt Westerberg present: the inaugural performance of Vision and Prayer (after the poem by Dylan Thomas). This unique concert will take place at 8:00 p.m. in the DePaul Concert Hall (800 W. Belden Ave). February 29th – DAGOBERTO GILB In an event co-sponsored by the Center for Latino Research and the English Department, Gilb–the award-winning author of The Flowers, Gritos, Woodcuts of Women, The Last Known Residence of Mickey Acuña, and The Magic of Blood–reads from his new work, Before the End, After the Beginning. The event takes place at 6 p.m. in Room 115 of the John T. Richardson Library. Hope to see you out at some of these great events! NOTE: Last week Ex Libris incorrectly published the time and place of the Writers Guild meetings. 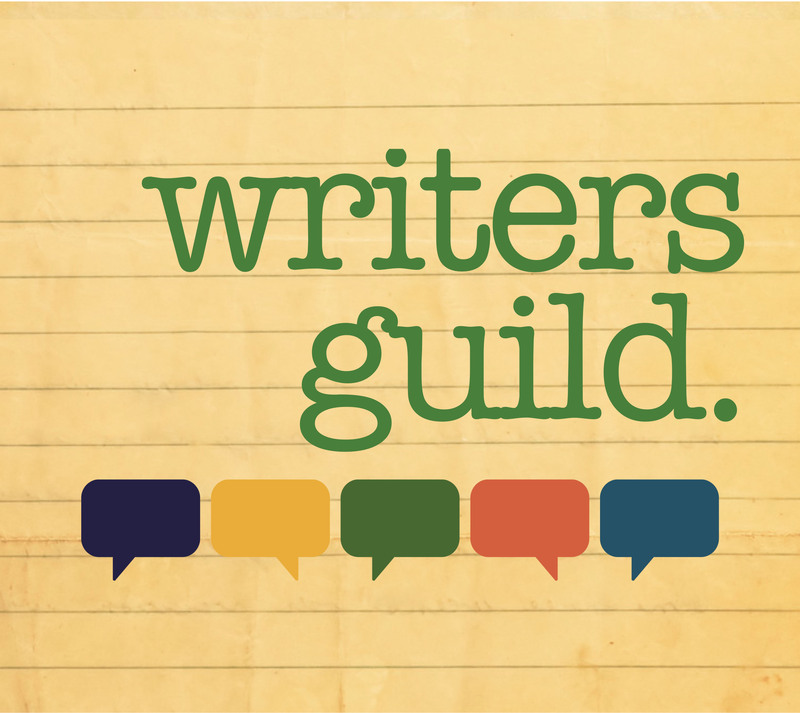 The Writers Guild actually meets on Wednesdays from 7:30-9pm in the Arts & Letters lobby. They are always open to new members; review the details here. This Tuesday, join the DePaul Humanities Center in a very special event with one of DePaul’s visiting writers. 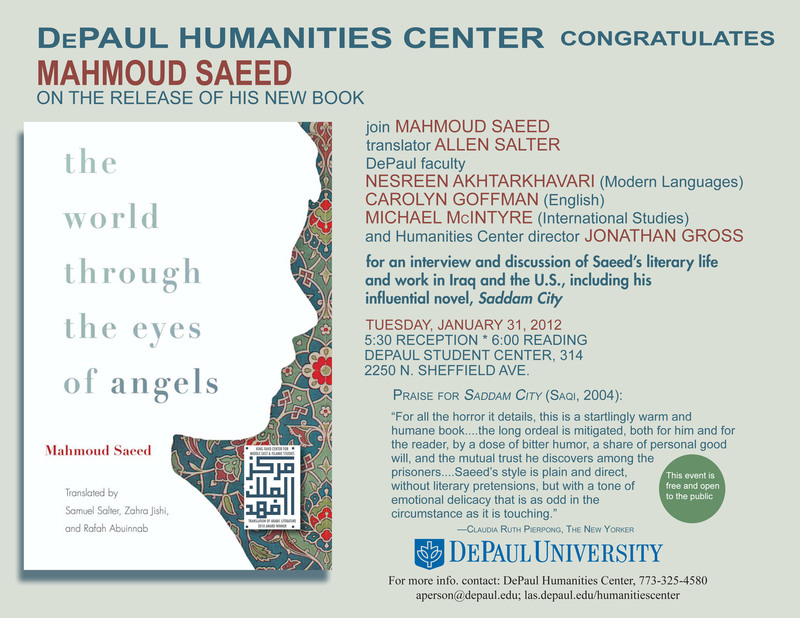 Iraqi writer Mahmoud Saeed is marking the release of his newest novel in translation, The World Through the Eyes of Angels with readings from his writings and a round table discussion with Saeed and DePaul faculty members Nesreen Akhtarkhavari (Modern Languages), Carolyn Goffman (English), and Michael McIntyre (International Studies). The event will take place Tuesday, January 31st in room 314 of the Student Center. It will begin with a reception at 5:30 p.m., and the reading and conversation will start at 6 p.m.
Mahmoud Saeed is Visiting Fellow/Writer in Residence at the Humanities Center, and also teaches courses in the department of Modern Languages. 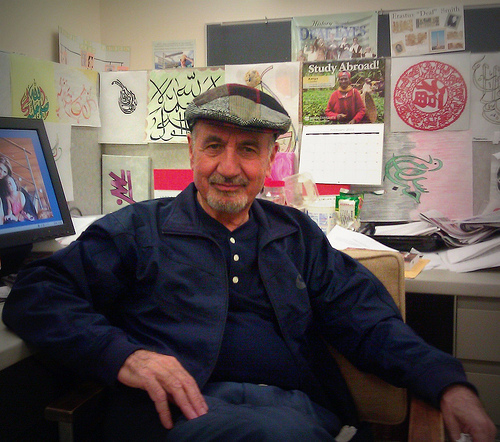 A prominent and award-winning Iraqi novelist, he has written more than twenty novels and short story collections. He was born and raised in Mosul, one of the oldest cities in the world, and was imprisoned several times by Saddam Hussein’s regime. Saeed left Iraq in 1985 after the authorities banned the publication of some of his novels, including Zanka bin Baraka (1970), which went on to win Iraq’s Ministry of Information Award in 1993. His latest translated novel, The World Through the Eyes of Angels, was the winner of the King Fahd MEST Center for Arabic Literature Translation Award in 2011. DePaul is very fortunate to have this talented and internationally praised author among our visiting faculty. Tuesday’s reading promises to be a unique opportunity to hear a writer’s perspective on the culture and history of a part of the world that many of us know primarily through war reportage. Hours: Monday-Friday, 8:30 a.m. to 6:00 p.m.
Walk-ins: Department of English graduate and undergraduate students may use the Center when it’s not reserved for a meeting or event. Students may use the Center for quiet work (using the computers, checking bulletin board notices, using department reference materials, etc.). Reservations: Department of English student organizations and student work groups may reserve the Student Resource Center. 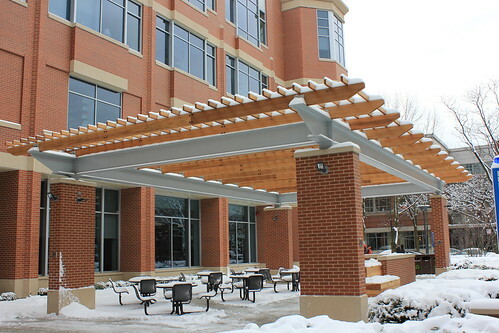 The Center cannot be reserved for meetings and events outside the Department of English. The Center may be used after hours only if an instructor or staff person reserves the room for students or student organizations. The instructor or staff person assumes the responsibility of making sure the Center’s door and the department office doors on the 2nd floor are locked afterwards. Evening meetings and events cannot go beyond 9:15 p.m. (when evening classes end). Contact: Cathy Clark at CCLARK6@depaul.edu or in room 210-02 if you have questions about using the Center. Reserve the Center for meeting and events by using the calendar posted by the door. Food is only allowed in the Center for organization/department meetings and events. Department books and reference materials are not to be removed from the Center. Students may use the computers for research and for student organization work. Personal items should not be left unattended. Department business offices are located nearby. Remember to leave quietly. Bulletin Board: A bulletin board is available for faculty, staff, and English department student organizations to post flyers and announcements. Flyers and announcements should be approved by Cathy Clark before posting. Reference Materials: Faculty may leave reference materials for students’ use, labeled with the lender’s name. These should not be taken from the Center. Books and journals belonging to the department will be available for students’ use (in the Center). The Center has two bookcases for department books and reference materials. Catering: Persons reserving the Center for meetings and events may bring in food or order from Chartwell’s. They are responsible for making sure leftovers are removed and trash cleaned up after the event. P.S. 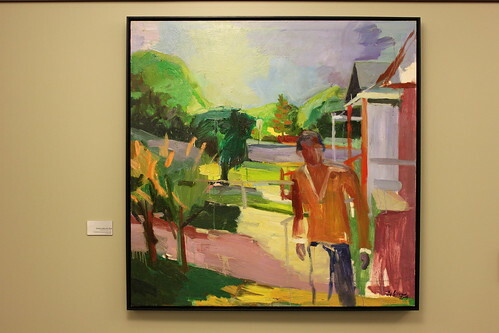 We couldn’t resist showing off a bit with photos of the art in our new building! If you’d like to see more, head over to our Flickr page. Andrea Pelose is a second-year MAWP student and Marketing Director for the Guild Literary Complex, among other things. In today’s guest post, Andrea shares her experiences in the Guild Complex with us and explains how (and why!) to get involved. As grad students, we’ve mastered the art of busy. We have workshop pieces to write, polished works to submit, query letters to finish, and reading lists to stay informed on trends. Not to mention, we have jobs and families that generally like to know we’re alive. This is why it’s easy to get wrapped up in a blanket, stay in, and type until the faint signs of carpal-tunnel appear. But being a writer is not just about producing new text. (Although that is certainly a crucial part of it.) Writing is also about community. Luckily, here in Chicago, we’re blessed with a great one. 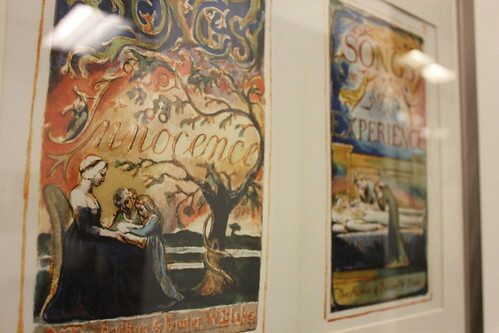 DePaul itself hosts several worthwhile literary events throughout the year, from professor readings to the Visiting Writers Series to student events like Threshold’s Annual Launch Party and EGSA’s Spring Conference. And they are not the only ones. Over the course of the past year, I’ve had the pleasure of working as the Marketing Director for the Guild Literary Complex, a community-based organization for poets, writers and literature fans that thrives on vibrant programming and emerging voices, at an affordable price. That price typically being free. Perhaps my favorite part of both working with the Guild and attending our events is its diversity. Our presenters and audience members are an infused mixture of all the best things about the city. The programming is unique and original. It is also one of the best ways to learn the city, since we host events everywhere from Wicker Park to Logan Square to Humboldt Park to the South Loop, and yes, even a block or two from DePaul’s Lincoln Park Campus. Palabra Pura—a bilingual poetry series, featuring both Spanish and English verse. Each event opens with an open mic opportunity for poets of all ages and experience levels to share their work, and audiences of any background are welcome. Applied Words—a series that explores creative writing and its fusion with both non-literary forms (such as music) and even non-artistic subjects (such as health). Each event features readings or performances related to the selected topic, as well as an open mic and audience discussion. Gwendolyn Brooks Open Mic Award—an annual open-submission poetry contest, held each Spring, with a live showcase of performances, an audience vote, and a chance to win $500. Prose Awards—an annual fiction and creative non-fiction contest, held each Fall, with a live showcase of the finalist excerpts and chance to win $250 in each category. Poetry Performance Incubator—poetry meets the stage in a collaborative project that brings poets together to create original theater. Past shows include “Tour Guides” about the Chicago tourists never see (2010) and “Unnatural Spaces” about urban living and the environment (premiering 2012). We will also be at AWP. We’re offering a panel on the challenges and opportunities of running a culturally-specific reading series like Palabra Pura. In addition, we’re hosting an off-site event on March 1st at 7:00 pm at Jak’s Tap with readings and performances by Poet and Guild Literary Complex Co-Founder Michael Warr, Poet and Tia Chucha Press Co-founder Luis Rodriguez, and Poet and formidable Performer Patricia Smith, as well as select Tia Chucha poets. The Guild constantly develops new programming as well, so be on the lookout for upcoming details about a university open-mic extravaganza and teaching artist series, both targeted with English students in mind. Having a strong network of poets, writers, publishers, journalists, professors, performers, and several others has not only helped me network and gain a better understanding of Chicago’s literary landscape, but also continues to provide encouragement to keep at my own writing, and discover the number of new outlets available to share my work. So how can you get involved with the Guild Literary Complex? The best way is to attend an event or share your work via an open mic opportunity or contest submission. We also have occasional volunteer opportunities or job openings. For more details, visit our website, join our group on facebook or start following us on Twitter. Have something you’d like to share in a guest post on Ex Libris? Send your ideas to Maria at mhlohows@depaul.edu. Join us this THURSDAY, JANUARY 26 at 6 p.m., for a reading by DePaul’s own Professor Hannah Pittard at the DePaul University Bookstore at 1 East Jackson in the Loop. Prof. Pittard wrote the critically acclaimed novel, The Fates Will Find Their Way. She is also the winner of the 2006 Amanda Davis Highwire Fiction Award, the recipient of a 2012 MacDowell Colony Fellowship, and a consulting editor for Narrative Magazine. The theme of “National Tragedies” seeks to interrogate those moments and events in both history and contemporary society, which have affected the American psyche consciously and/or unconsciously. A focus on Perceptions assesses how various peoples in America and even those beyond America’s geo-political borders have defined tragedies and nations, politically, socially, economically, and environmentally. Receptions aims to uncover the varied responses to and reflections upon these tragic moments and decipher what they mean both nationally and transnationally for America. Finally, Expectations seeks to develop and foster an understanding about national tragedies cross-culturally, within and without the nation. The Symposium Committee invites all those interested to submit proposals no longer than one page in length for panels, individual papers, workshops, and performances no later than January 30, 2012. Please also submit a biography of no more than 250 words, a current CV with contact information (especially your email address), and a list of any audio and/or visual equipment necessary for your presentation. Submissions must be made electronically to amstsymposium@purdue.edu. Visit the Summer Literary Seminars website for complete details concerning their programs as well as full contest guidelines. The DFI Fellowship is an award made available to graduate students with the goal of increasing the number of minority full-time tenure track faculty and staff at Illinois’ two- and four-year, public and private colleges and universities. DePaul University currently has seven graduate students who receive the DFI Fellowship, and they are generously offering a series of information sessions for current DePaul graduate students interested in applying. A DFI Fellow must be an Illinois resident and U.S. citizen or lawful permanent resident alien who is a member of an Underrepresented Group. Black/African American, Hispanic American, Asian American, American Indian or Alaskan Native. “Traditionally underrepresented minority group” means any of the minority groups designated in the Public Act which are represented in Illinois post-baccalaureate enrollment at a percentage rate less than the minority group’s representation in the total Illinois population. The Public Act further specifies that to be classified as an Illinois resident, an applicant must possess a high school diploma or postsecondary degree from an accredited Illinois educational institution or have lived in Illinois for at least three years. For more information, please read DFI Guidelines or visit their website. RSVP to diversitymatters@depaul.edu and indicate the session you’d like to attend. Walk-ins are welcome. Join The Writer’s Guild and Learn the Language of Student Organizations! Today we have two announcements from our friends and classmates at the University Center for Writing-based Learning about some great new opportunities to improve your writing– and your student organization– this Winter Quarter. Now that Winter Quarter is underway, it’s time for the return of The Writers Guild, DePaul’s student creative writing group! The Writer’s Guild meets every Wednesday from 7:30-9pm in the Arts & Letters lobby on the Lincoln Park campus. Participants will be able to collaborate both with other writers and an UCWbL peer writing tutor and receive reader-based, revision-orientated feedback on their work. The Writers Guild is an excellent way to focus your creative energy and encourage yourself and your fellow group members to keep going on that difficult project. We welcome writers to participate as often as they can, whether that’s once a month or every week. Alumni are also welcome to join us. If you’re planning to submit to Threshold this year (deadline February 10th, 2012), the Writers Guild would be a great place to whip your piece into submission-worthy shape! 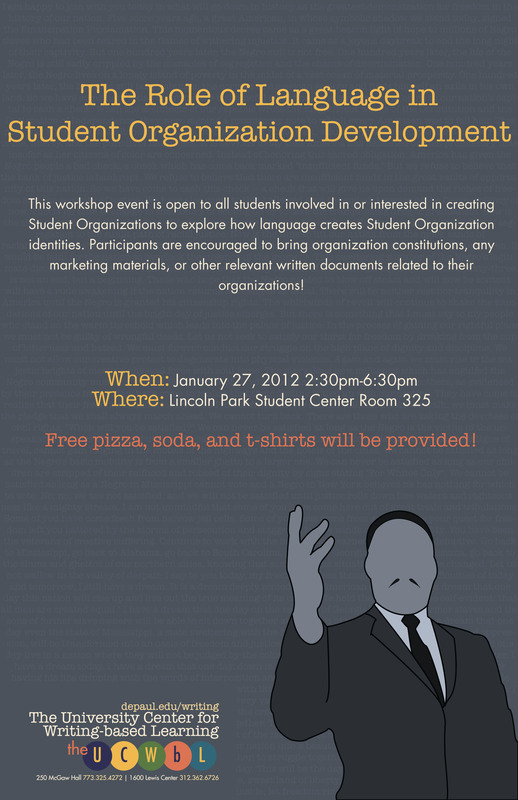 Are you in a student organization? Do you like free pizza and t-shirts? Do you need something to do in the afternoon on Friday, January 27? The first event in this series, “The Role of Language in Student Organization Development” is a workshop where members of any student organization can bring their organization’s constitution, marketing materials, correspondences with administration, or other written documents and discuss how they are crafted and perceived, and collaborate on improving and further developing them. All members of student organizations and other interested friends are welcome. And remember: Free Pizza! Free T-shirts! This event is made possible by a grant from the MLK Jr Celebration Awards, provided by the Office of Institutional Diversity and Equality. All questions can be sent to Julia Harding at jhardin9@depaul.edu or wcenter@depaul.edu. RSVP on Facebook, or just show up.